The importance of being prepared with your marketing and budgets, and how far to plan in advance. AVSocial 39: Too Late To Market? Looking at managing an editorial calendar, planning for the new year, and finding the best time to inform clients about deals or events. 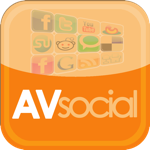 AVSocial 32: There are the usual ones; Thanksgiving (U.S. and Canada), Halloween, and Valentine’s Day. Then there’s Pi Day. How some audiovisual companies incorporate Pi Day with their clients and culture. We have all seen commercials advertising specials for Christmas, New Year’s, and other holidays. On this AVSocial our panel discusses what you can do to connect with your clients surrounding holidays and special occasions. Even March 14, which is Pi Day. AVSocial 27: Haley Klein, Mike Kirby, and Lisa Remo look back at the biggest challenges of audio visual marketers, how they overcame those obstacles, and getting to a return on investment (ROI) of marketing efforts. AVSocial 27: Giving advice to brand new audio visual marketing professionals. AVSocial 27: Hailey Klein, Lisa Remo, and Mike Kirby talk about the tools marketers use to stay connected with their clients. On this AVSocial we talk about some of the biggest challenges of the year for marketers. We discuss the tools to use to help automate marketing and stay connected to clients. The panel gives advice to new marketing pros.